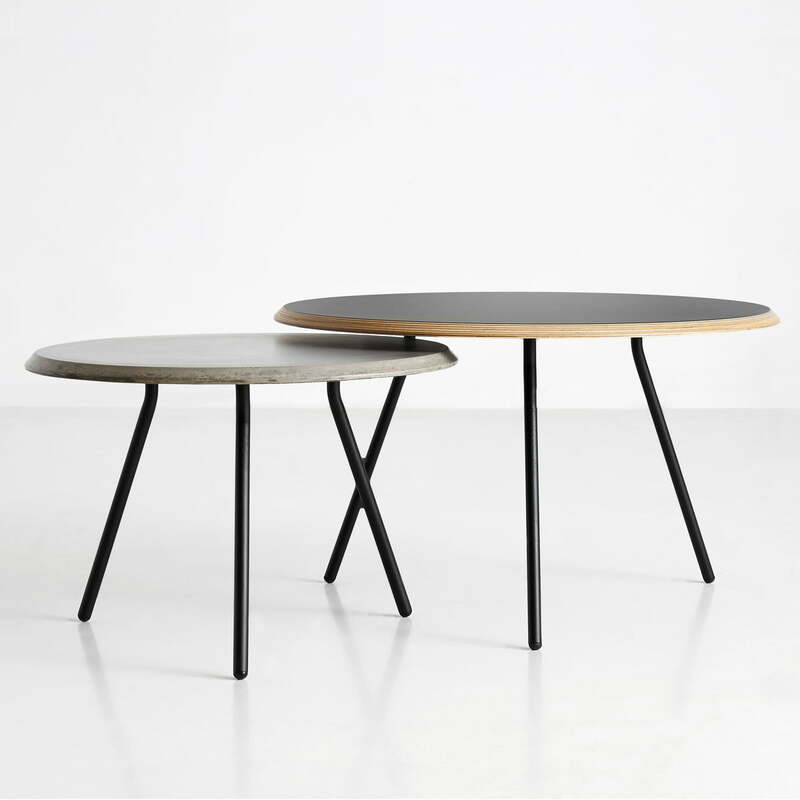 The Soround coffee table by the Design Studio NUR inspires in addition to its minimalist design with a durable tabletop made of concrete or laminated wood. 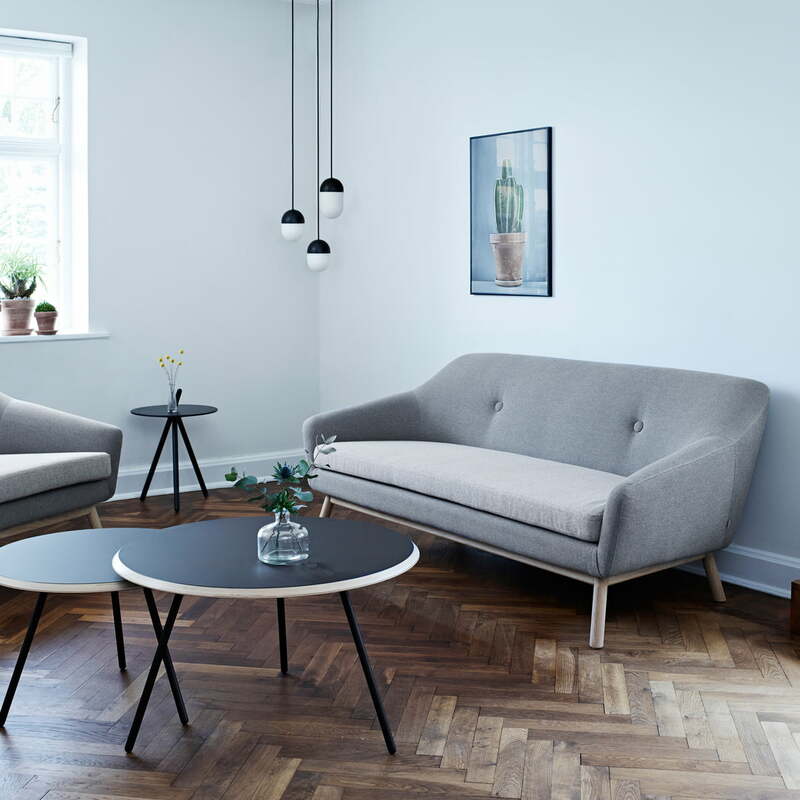 When combined in different sizes, the design as a set of tables offers much storage space, and is thus ideal as a coffee table in front of or next to the sofa. The version in black consists of plywood with Fenix laminate finish, which is made in Italy with nano-technology, giving the table its matt, soft look. The table top of the grey version consists of fibre-reinforced concrete, which is coated with a high gloss finish, to ensure for a soft look. The table is available in other sizes upon request. Isolated product image of the H 39.5 cm / Ø 60 cm by Woud in concrete. 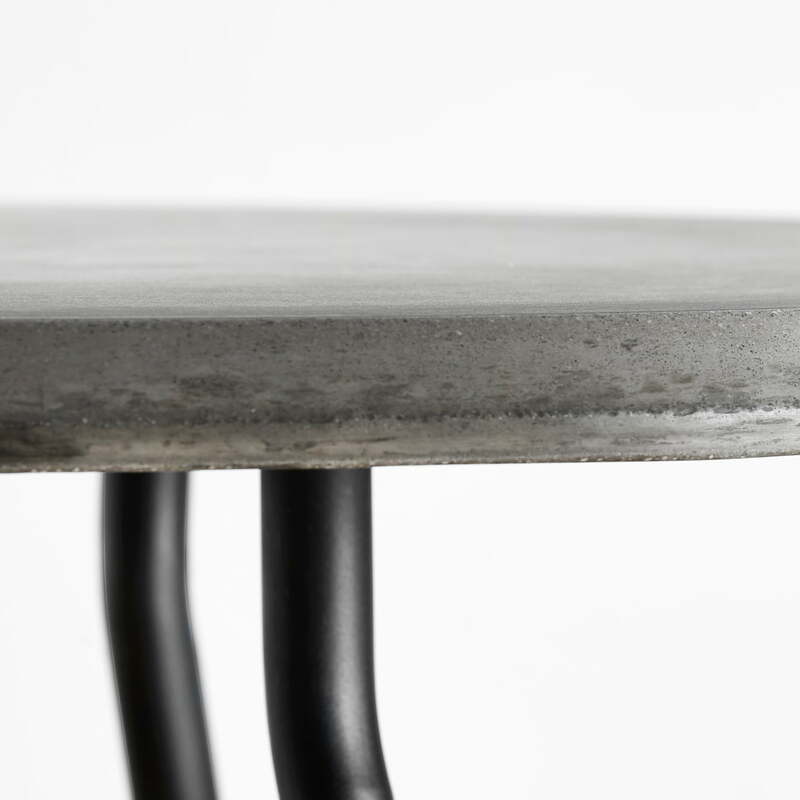 The tabletop consists of fibre concrete, which is coated with high-gloss glaze for a smooth finish. 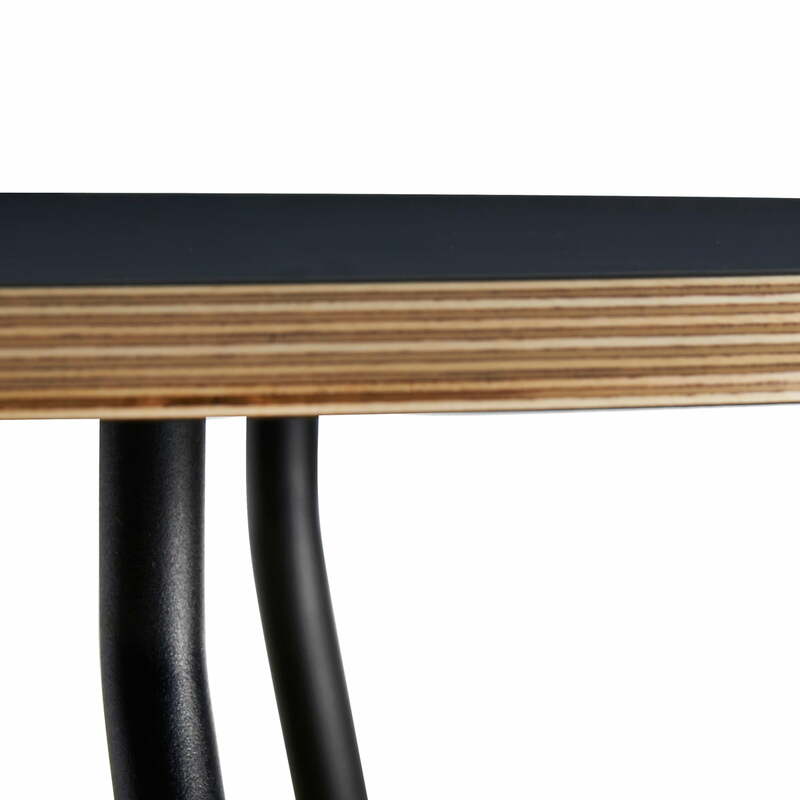 Product image of the Soround Side Table High Fenix by the brand Woud. 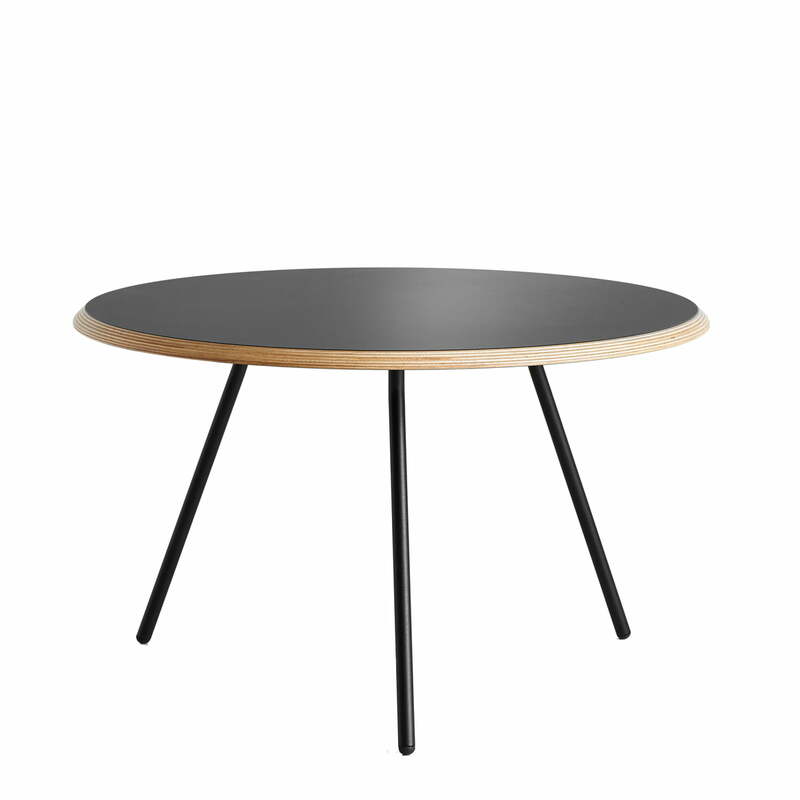 The round table top of the coffee table is matt, made from laminate with a soft look. 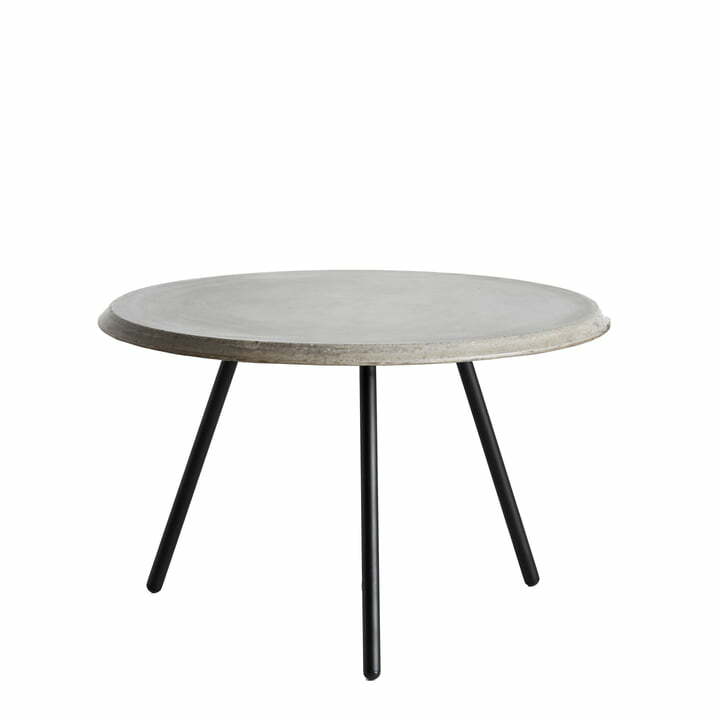 The Soround Side Table by Woud is available in different sizes and table tops made of laminate or fibre-reinforced concrete. All versions have legs made of metal. The Soround Side Table's top of the grey version consists of fibre-reinforced concrete, which is coated with a high gloss finish, to ensure for a soft look. The Soround Side Table version in black consists of plywood with Fenix laminate finish, which is made in Italy with nano-technology, giving the table its matt, soft look. 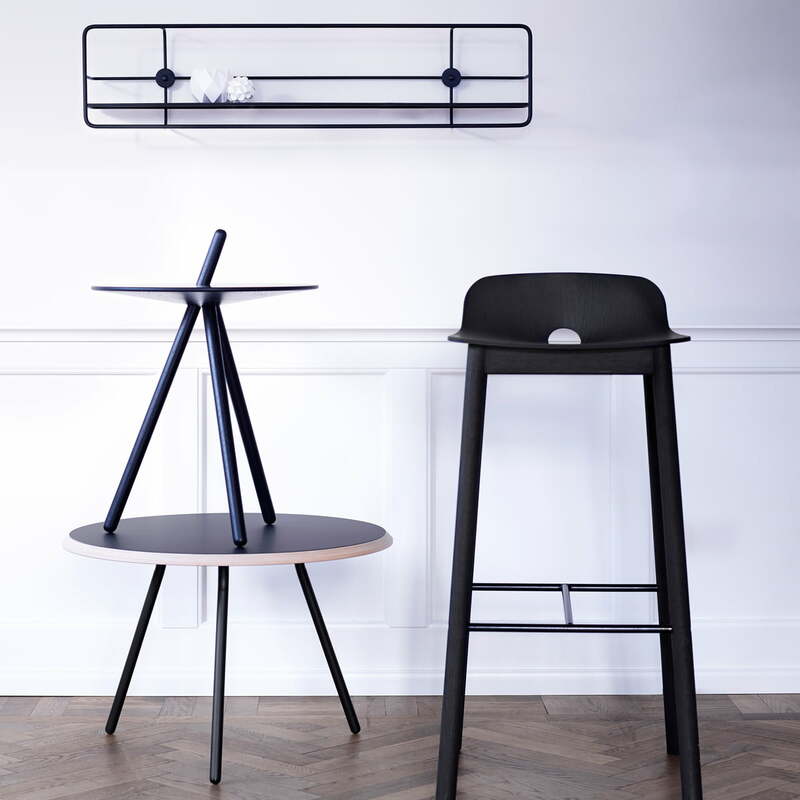 The Coupé Horizontal Shelf in black is located on the wall behind the Soround Side Table in black on which the Come Here Coffee Table in black by Woud is standing.